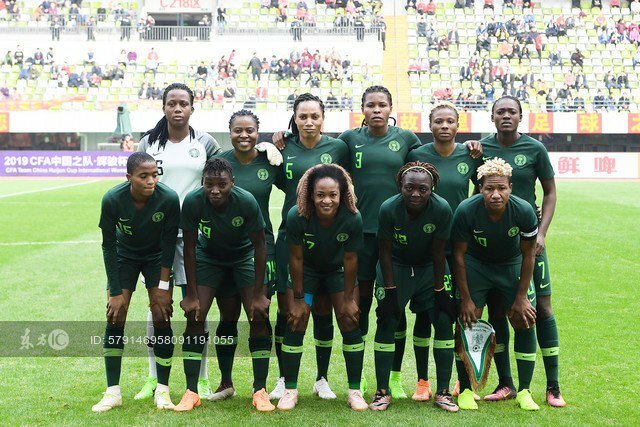 The Super Falcons of Nigeria upturned their fortunes on Sunday when they thrashed Romania 4-1 in the third-place match at the ongoing four-nation invitational tournament in China, Premium Times. The Falcons, who won the African Women Cup of Nations for a record ninth time in Ghana last year, lost their first match 3-0 to host China on Thursday but put up a better display on Sunday to defeat the Europeans. Chiwendu Ihezuo broke the deadlock in the 44th minute, putting the African giants ahead only for the Romanians to equalize ten minutes into the second half. Co-captains Onome Ebi and Rita Chkwelu stepped up for the Falcons to ascertain their dominance. Ebi put Nigeria ahead again in the 63rd minute before Chikwelu made it 3-1 in favour of Nigeria. The final nail in the coffin for the Europeans came in the 83rd minute when Brighton & Hove Albion forward, Iniabasi Umotong scored the 4th goal to give the Super Falcons a resounding victory. The Super Falcons will be in high spirits for their next challenge in preparation for the FIFA Women’s World Cup in France at the Cyprus Women Cup which begins on February 27, 2019.